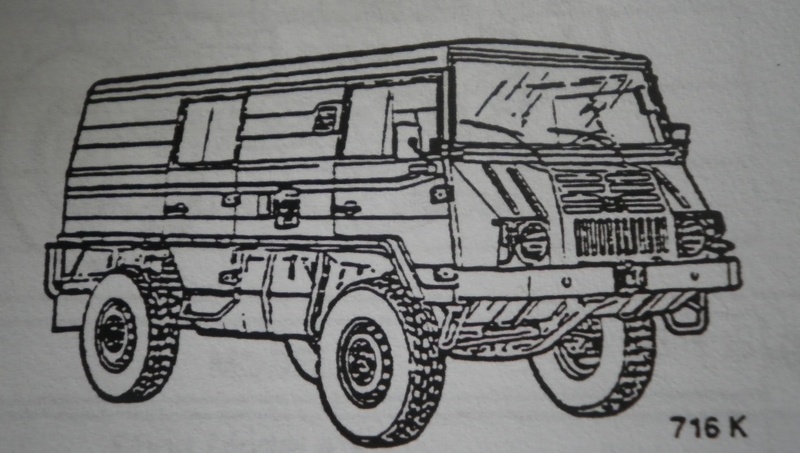 Steyr Daimler Puch.6x6.All variants.Operating Information. 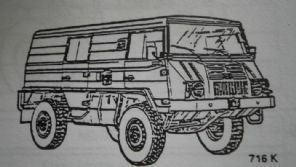 Truvk,utility medium (heavy duty) 6x6, Steyr Daimler Puch. All Variants. 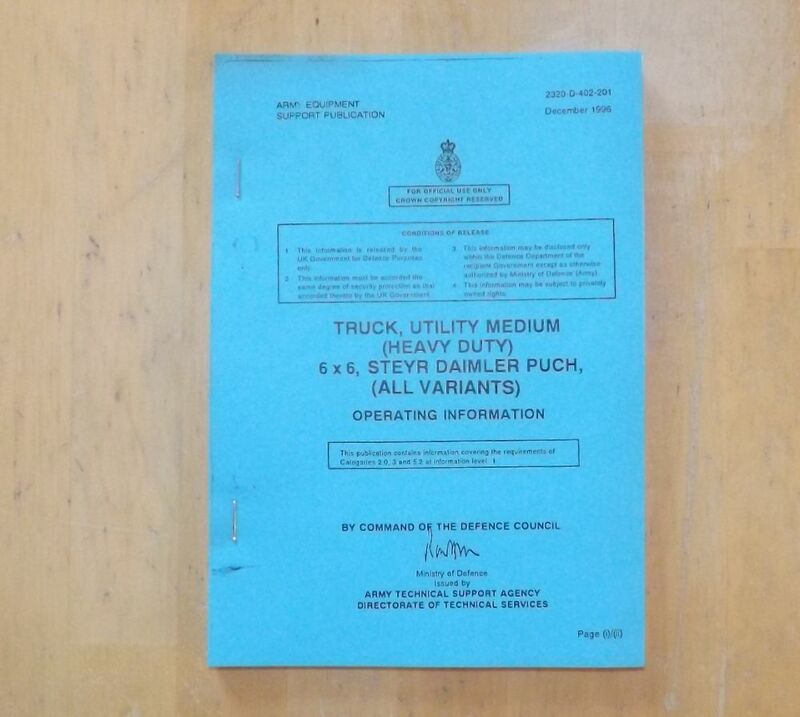 Operating Information. AESP 2320-D-402-201.Dec 1996. Covers.General description GS Cargo (w/winch), Controls and instruments GS Cargo (w/winch), Operating instructions GS Cargo (w/winch), User maintenance GS Cargo (w/winch), Destruction of equipment to prevent enemy use. 1st generation copy, card covers, staple bound.